Android is ruling the entire globe with its Applications and most of them are for free to use which makes it one of the best in the market. And with these free Apps some of them are paid ones too. Normal calling is so old these days as technology is making a serious development around and people tend to make video calls rather. But are you afraid that making video calls will cost you more? Then leave this job to the free Apps. If you are away from your PC and need to make an urgent call then here I give you the 10 Best Free Apps for Video Calling on Android. These Apps are very easy to use with awesome UI and loads of features. Every other single person who uses computer knows what Skype is and there is no need to define in my own words. It is Albeit the service which was recently acquired by Microsoft, but you know what it still remains the same old Skype. Even a small kid can use this as it has the easiest UI to use. gTalk is nothing but Google Talk, and it is also used by millions of users around the world. For some of the users they find it easy to use because of its simple and portable design. 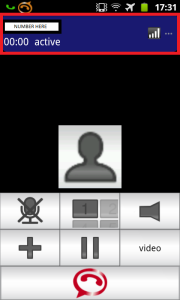 In order to make a video call via gTalk all you need to do is to touch the small camera like thing that appears near the contacts in your Smartphone. If you are looking to Tango with your Smartphone then this is the best free App to do so. You can use this App to connect with your friends and families and that too without spending a single penny. 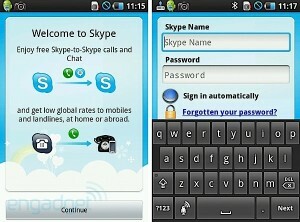 Using this App you can even make calls on your Tablet and PC too besides making calls only on your Smartphone. 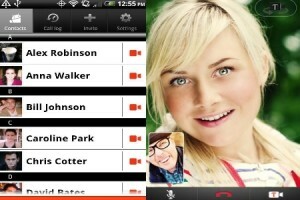 Yet another video calling service provider for Android is Fring. This App is available for free to download and comes with lots of new features and fast UI. You may not find it popular but in no time it is rocking the Android market. You can easily make video calls on 3G, 4G and WiFi networks using this Android App. The latest video calling technology and the newest service for video calling is provided by the Movicha App as it is very new to the Android Market. You may be thinking what is the special thing that makes this Android App different from others? You can get the answer from the statement-“See anybody, anywhere” from the team at Movicha. The name of this Android App itself implies what it intents for. It is a video service that enables you to …well, call friends. There is nothing new in this App as it is like the other Apps which support all the features. But in these list you may not like few Apps instead you may fall in love with this App at the first use. Have you ever heard of such video calling Android App? Well, it is because it is yet another stranger App in this Android Market that enables you to make free video calls. You can rate this App as a beginner in this field but it does offer some of the cool features for video calling. 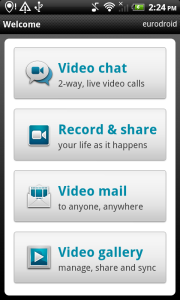 The name may sound like kicking someone but no it is an Android App for yet another video calling. The domain name looks so simple and short and catchy too. But if you visit this site it looks stunning though and you can download this App from it for free. 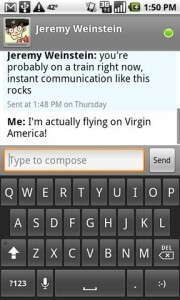 And guess what you will be shocked to hear that this service has been acquired by Skype. Here comes the most loved and my favorite Yahoo! Messenger. It is the most loved and very popular among millions of users around the globe for providing chatting services. 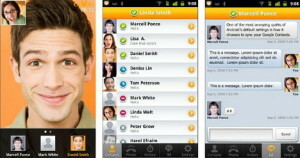 And now we shall look at the last but not the least ooVoo Android App for video calling. If you want to have multi chat with your friends and families like the Hangout in Google+ then your search ends here because this App allows you to have video chat with up to 6 people. Amazing eh?